and all ports around the wire frame has a label, major label location convenient front-end client port identification. 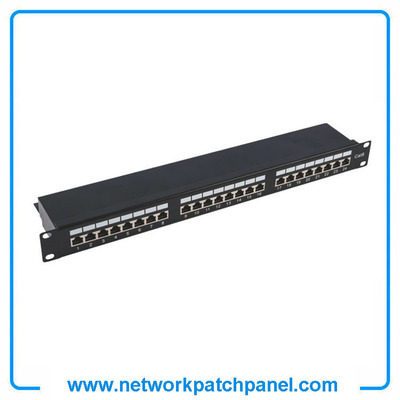 • CAT5e CAT 6 UTP 24-port patch panel with shutter. • Available with T568A/B wiring pattern and meeting the requirement of CAT 6 standard.